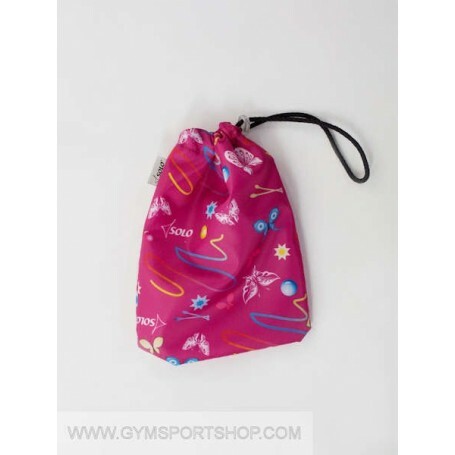 Bag for gymnastic jump rope. You can tighten the opening with the cable and a retainer. Inside - a label with owner information.